We know things can get busy during the holiday season, and the Google Assistant is the perfect way to help you streamline your day. We’re introducing new ways the Assistant can be particularly helpful at home, so you can get an extra hand from Google when you’re whipping up a meal in the kitchen, working with your kids on homework, enjoying TV in the living room or getting ready for a good night's rest. When you’re out and about prepping for the holidays, the Google Assistant can help you easily check in on the family at home with broadcast, one of our most popular Assistant features. 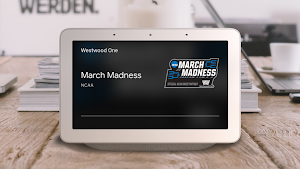 With broadcast, you can send a message from your phone to your smart speakers and smart displays at home—for instance, if you need someone at home to check if you should pick up cranberry sauce for the turkey. We’re now making this feature even more useful, with the ability to reply back from a smart speaker or Smart Display to your phone. When the reply is received back on your phone, a notification will pop up and the message will be transcribed. 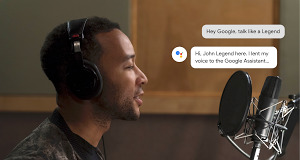 You’ll can respond with text or by voice with the Assistant. This feature will be available across all smart speakers and Smart Displays in the coming weeks. Smart Displays, like the Google Home Hub, Lenovo Smart Display or JBL Link View, are perfect companions in the kitchen for browsing recipes and getting step-by-step cooking instructions. To make discovering new recipes even easier, you’ll now see a Recommended Recipes card right from the home screen. This brings new recipes right to your fingertips before you even have to ask, with recommendations for recipes similar to ones you’ve searched for in the past. Even better, recipes will be regularly updated with smart recommendations based on the nearest meal time and whichever season it is. So you might see easy cinnamon roll recipes for inspiration in the morning, and foolproof turkey gravy heading into Thanksgiving. And when you discover a recipe that you love or want to try out in the future, you’ll be able to save and view it in your own personal cookbook using the Google Assistant. These new features will be available across all Smart Displays in the coming weeks. Especially during the holiday season, sticking to family habits can be challenging, whether that’s picking up toys, making the bed or getting started with homework. To make these a bit more fun, today we’re adding the ability to set up an alarm from popular animated characters with the Google Assistant on smart speakers. These new alarms will have signature music, jokes, facts, words of encouragement and other fun messages from characters in LEGO City, LEGO Life, and LEGO Friends and from Nickelodeon's Rise of the Teenage Mutant Ninja Turtles (including the voices of Leonardo, Michelangelo, Raphael, Donatello and April O’Neil) to remind everyone it’s time to finish playing and get in the bath. Just say, “Hey Google, set a Teenage Mutant Ninja Turtle alarm for 8:00 PM.” Cowabunga! We’ll also add characters from Spin Master’s Hatchimals later this year. And if you don’t have a book with you, just ask the Google Assistant to tell you a story. In the coming weeks, we’re adding 25 new family-friendly stories by Nickelodeon, including PAW Patrol’s “The Pups Save the Bunnies,” Dora the Explorer’s “Dora's Super Sleepover,” Blaze and Monster Machines’ “Let's Be Firefighters” and many more. Or if you’re in the mood to choose your own adventure story as a family, you can join The Wiggles in a new interactive story on Google Home speakers and compatible smartphones. Just say “Hey Google, talk to The Wiggles” and you’ll join Emma on a fun, Wiggly adventure as she travels through town to find friends to bring to her concert. For more fun things to do as a family, you ask the Google Assistant about things like dinosaurs, superheroes, arts and crafts and outer space to receive tailored family-friendly responses. Give these a try: “Hey Google, I lost my tooth,” or “Hey Google, check for monsters.” Family friendly-responses with the Google Assistant are available when kids under 13 are signed into devices like Google Home via the Family Link app. For parents who want to give their kids access to the Google Assistant, create an account for your children under 13 through Family Link, then link their Google Account to Google Home or other smart speakers with the Google Assistant. One of the ways we enjoy the holidays together as a family is by watching a favorite movie or playing holiday music. With the Home View dashboard on Smart Displays, you can easily control popular media and entertainment devices right from the screen. We’ve recently added new devices, so now TVs from Panasonic, Roku,LG, set top boxes from Telstra, and a smart remote from Logitech Harmony all work with Home View. And if you’re looking for the perfect gift to ensure your living room is well lit, no matter which activities you choose, our Smart Light Starter Kit includes Google Home Mini and GE’s C-Life bulb. They come pre-linked, making the setup process a breeze. The kit will be discounted at just $31 starting from November 21-28th, and you can find it at the Google Store, Best Buy, Target, Lowes and Walmart.com. To help streamline your morning, we're rolling out this week Routines to the Clock app for Android phones. 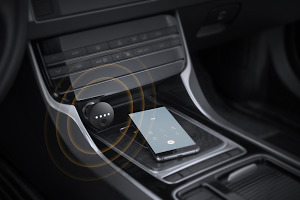 So after dismissing your alarm, the Google Assistant can immediately start a routine, triggering multiple things - like telling you about the weather and traffic on your commute to work, turning on your coffee maker and lights, playing the news, and more. You can customize your routine right from the Clock app. When it’s time to settle in for the night, you can ask the Google Assistant to switch your devices to do not disturb mode with a single command. You can say things like, “Hey Google, silence my phone.” This will be coming soon to the Google Assistant on phones. Sweet dreams. However you’re preparing for and celebrating the holidays, the Google Assistant can help you get things done with all these new features across devices.